This entry was posted in Creative Writing, Culture and tagged Brisbane, creative, New York, open mic, poetry, ruckus slam, slam, Taija, Taija Marie Davis, withflaws, writing. Bookmark the permalink. Actually I have to disagree. 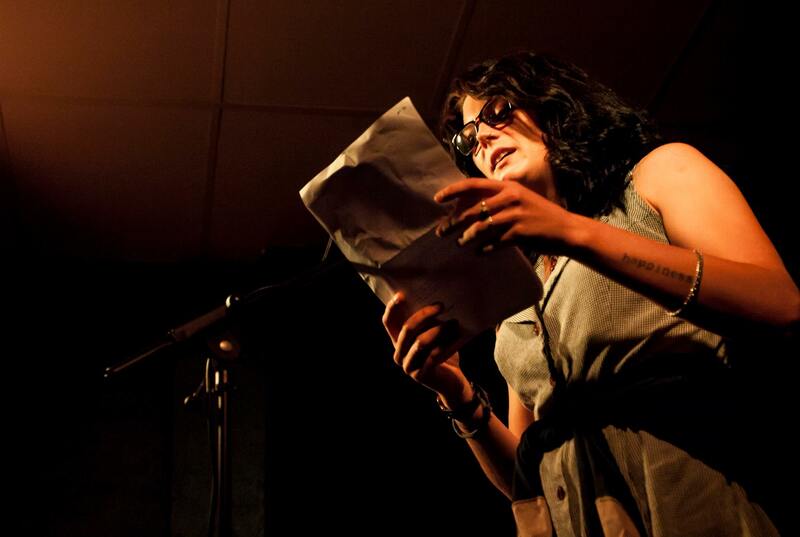 Brisbane has a vibrant poetry scene with many Open Mic opportunities available. The Kurilpa Poets events (last Sunday of every month) always have open mic sessions, as does Tony Muttons last-thursday-of the-month POW sessions at the Little Prince. Kurilpa offshoot, the 3PG also has a couple of open poetry sessions a month. As well West End Library has started monthly poetry events with an open mic segment, as does Wynnum Library. Even Speedpoets is still limping along in their first year operating post-Graham Nunn (you could call it Speedpoets’ This Year Zero! )And there’s a couple of other events floating around the place. In fact there’s probably more live poetry in Brisbane than New York! As for Poetry living in a bubble, check out http://reverendhellfire.wordpress.com/2014/03/30/the-poets-take-to-the-streets/ to deflate that idea.